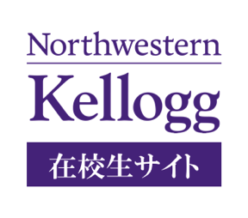 Kellogg signifies opportunities; a chance to learn what you want to learn, to pursue your personal hobbies and interests, to meet the kind of people that would undoubtedly one day change our world,　to make new best friends, to build your foundation so that one day you can become the person you’ve wanted to be. Kellogg provides us with a collaborative, student driven, academically world class environment with a global back drop that allows us to turn our dreams into realities while learning from equally impressive friends. If you’re the kind of person who’s got the drive and passion to challenge yourself to grow by stepping outside of your comfort zone, this may be a place for you. We are looking forward to meeting you and welcoming you to the close, family-like community that is Kellogg. If you decide to come here, your life will change in the most positive ways! Come meet us in person and you will know what I mean. Best of luck!